Nine Entertainment Co, owner of the Nine stations in Sydney, Melbourne, Brisbane, Adelaide and Darwin, has confirmed its purchase of Perth’s STW Nine from regional broadcaster WIN. The sale, effective 30 September, now gives Nine ownership of its network channels in all five major capital cities for the first time. “Following detailed discussions with WIN proprietor Bruce Gordon and the completion of due diligence requirements, we are now in a position to finalise the contracts on this pivotal deal for the Nine Network. This is an historic landmark for us because together with our recent acquisition of NWS Adelaide it heralds the formation of a truly national Nine Network across Australia, with all the competitive strengths and advantages that offers. 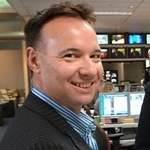 Mott (pictured) joins Nine a year after stepping down from his role as Chief Network Programmer at Network Ten. In 16 years at Ten, Mott was responsible for commissioning successful shows for the network including Rove, Big Brother, Australian Idol, MasterChef Australia, The Biggest Loser, Thank God You’re Here, Hamish and Andy specials, So You Think You Can Dance, The (7PM) Project and Offspring. Before Ten, Mott was a programmer for TVW Seven in Perth from 1978 to 1994. Despite his successful track record at both Seven and Ten, he will have a tough task ahead of him in building a stronger position for STW Nine. 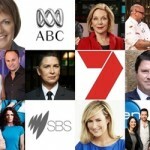 For most of its 48 years on air the channel has been overshadowed by the dominance of TVW Seven despite the Nine Network having a stronger ratings position on the east coast. In the ratings year to date, STW has a prime-time rating of 22.5% against TVW Seven’s 36.4% — while on a national basis (five cities) the margin is a lot closer, with Nine’s 29.3% versus Seven’s 30.6%. We share the same name. In all probability we have a common ancestry. I have traced my Mott family tree back to the late 1400s and have a lot of information about individuals along the way. Please let me know if you would like a copy. I’d also be grateful to receive details of your ancestry and tree if you have these.